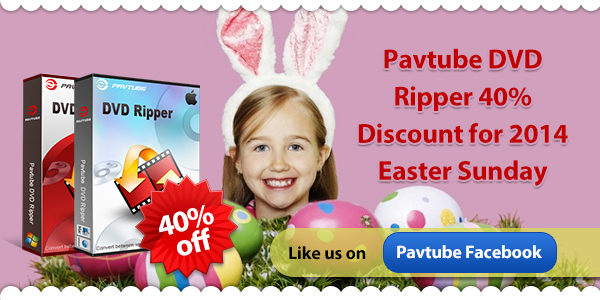 From April 18 to April 25, 2014 – Pavtube Studio announces its promotion activity of Pavtube DVDAid for (Windows/Mac)with 40% discount on Facebook. With this easy-to-use software, users of Apple, Android or Windows products can easily and securely backup, convert and transfer DVD movies to mobile devices. First of all, install and launch Pavtube DVD Ripper, and then hit on the “Load Disc” icon to browse to disc drive and import source movie. Next step is to choose output format. 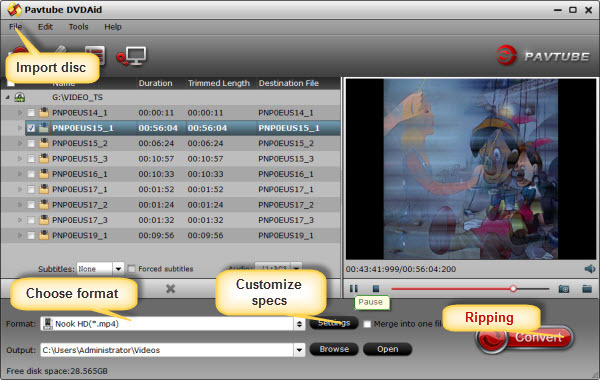 Pavtube DVD Ripper offers more than 200 formats and you would find the optimized one for your device. Tab on the “Format” menu, select one category e.g. iPad, and locate the suitable profile there. At last, click the “Convert” button and start DVD ripping process. After it completes, you could locate the output movie and move the ripped file to any device or media player you would like to enjoy the DVD movies. Can Kindle Fire HDX play DVD VOB movies directly?